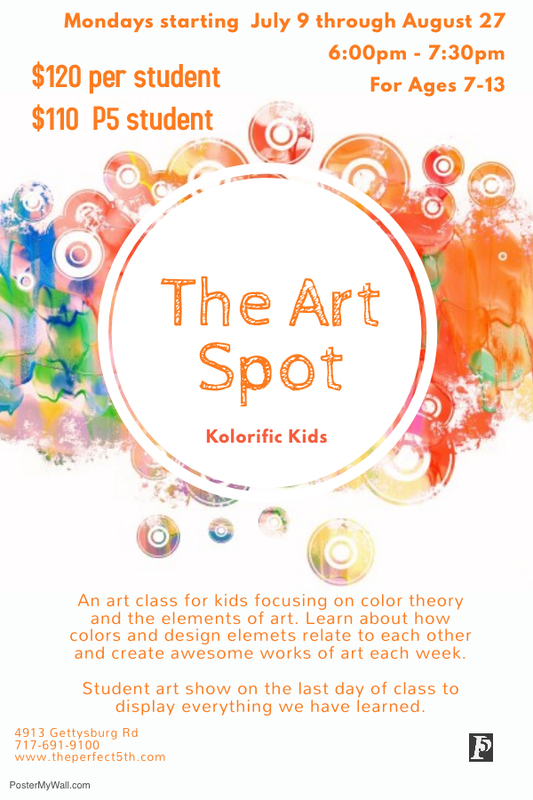 An art class for kids focusing on color theory and the elements of art. Learn about color and design elements relate to each other and create awesome works of art each week. Students art show on the last day of class to display everything we have learned. For more info please contact the front desk at (717) 691-9100 and leave a message (someone will return your call) or register today!